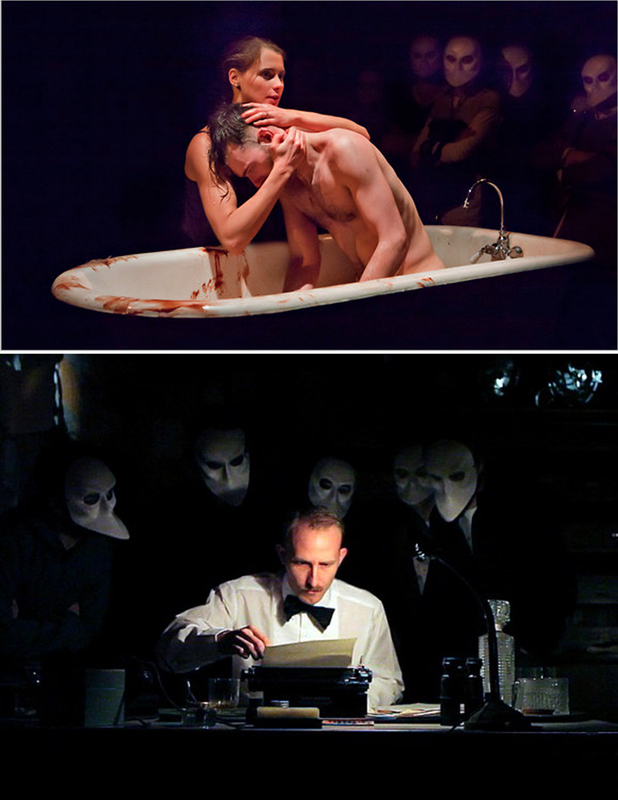 On Monday, Evan and I experienced, Sleep No More, a “[wordless] dance-theater horror show [and] nonlinear mash-up of Macbeth and the darker psychosexual corners of Hitchcock,” as quoted by Scott Brown of New York Magazine. It was an intense 3 hours of interactive performances in which we, the viewers, become part of the experience. Donning mandatory bone-white Venetian beak masks, we’re given free reign of 6 floors in the fictional McKittrick Hotel, a “jazz-aged haunted house for grown-ups”. You’re encouraged to explore alone and navigate through the over 100 dark and mysterious rooms and passage ways, giving each guests his own unique take on the experience as a whole. Evan and I each saw parts of the performance and venue that the other did not. It was amazing to have been in the same place at the same time but come out with completely different stories and takes on the experience. I cannot recommend this play highly enough. It is beyond anything that I have ever witnessed. Read the rest of Scott Brown’s NY Mag review here and get tickets to the show here. (P.S. Even if a show is sold out, you can get tickets by emailing or calling, but the price jumps up to $125). xoxo! ← Onefourthree Wedding: Jen +Richard on SMP today!